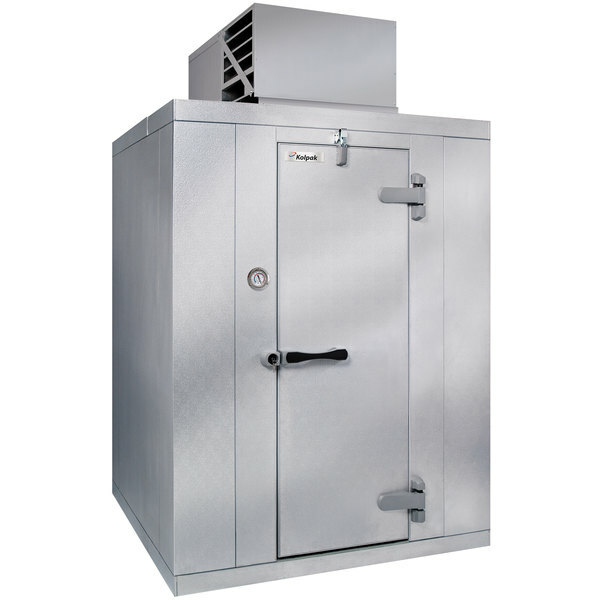 The Kolpak QS7-068-CT indoor walk-in cooler boasts a rugged, high performance design intended for years of trouble-free use. A top-mounted, 1/2 hp refrigeration system fits flush to the interior cavity, giving you 100% usable interior space. Its self-contained design with automatic condensate evaporator doesn't require any plumbing, and it installs easily without the need for a refrigeration technician. Easy installation and a great price for a very high quality unit. We are very happy with the size and function of this unit and even with the fan on top it is still not noisy.